The STEM Innovation Award is presented in partnership with MESPA and the Science Museum of Minnesota. The new award gives principals the opportunity to share innovative programs and/or projects in their schools. Submitted applications become part of MESPA's STEM Innovation Database, available to MESPA members, helping schools across the state replicate their colleagues’ successes. The Science Museum of Minnesota will provide $300 of programming to the recipient of the award and the recipient will be recognized at MESPA Institute awards banquet – The MESPYs – in February. Any MESPA member can submit a project/program for consideration! 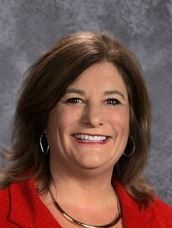 (St. Paul, MN – December 6, 2018) – Woodland Elementary, located in Eagan, MN and a member of District 196, has been named the winner of the 2019 STEM Innovation Award. Principal Lisa Carlson (pictured, left) and STEM Teacher-Principal Intern David Lostetter applied for the award on behalf of Woodland Elementary. Woodland Elementary strives to incorporate STEM and technology throughout its programming and make it accessible to all students. Woodland has a Technology and STEM Specialist and has added a Targeted Services, extended day coding club to increase access to STEM experiences, learning, and enrichment for its K-5 students. Click here to read Woodland Elementary's full press release. 2019 STEM Innovation Award Information will be linked here when available in spring 2019. The deadline to apply is November 12, 2019. See examples of past applications in the STEM Innovation Database. Who can apply for the award? 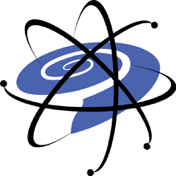 Any Active Level MESPA Member may apply for the STEM Innovation Award. Can my school submit more than one innovative program/project for consideration? No, schools can only submit one innovate program/project per year.